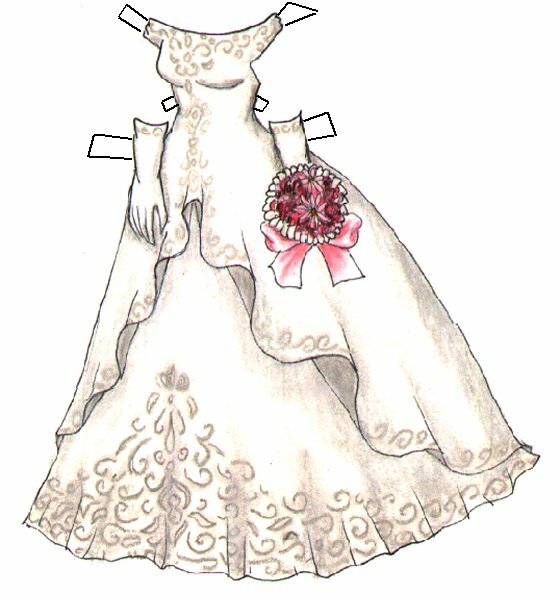 Here’s two more Boutique wedding dresses — I waited until too late to start drawing tonight. I’ll have something more interesting tomorrow, I bet. If you haven’t seen it yet, RLC just started a paper doll blog, Paper Thin Personas with some great black-and-white outfits. 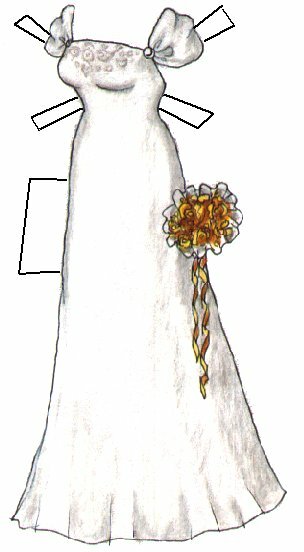 So between this one, Annissa’s blog and 19th Century Paper Dolls that’s a pretty good collection of paper doll blogs, and even if I’m boring they’re not! Thanks for the shout-out and I certainly understand the whole waiting to late to start problem. (If I don’t start before seven, it isn’t going to happen.) By the way, have to learned anything about good scanners? I’m having a little trouble with mine. RLC, I’m still holding out hope mine can be fixed (one person suggested looking at the bulb)… I know Jan said she liked hers, but I don’t remember if she made the recommendation in a comment on my blog or through Twitter and I can’t find it.